Heeft u een vraag voor CA Hotel and Residence? Voor reizigers die voor de bezienswaardigheden van Phuket komen, is CA Residence een perfecte keuze. Het levendige stadscentrum is slechts 10.7 km verwijderd. Dankzij de praktische ligging, biedt de accommodatie eenvoudig toegang tot alle belangrijke trekpleisters van de stad. CA Residence biedt gasten superieure services, plus een breed scala aan voorzieningen, en is toegewijd om uw verblijf zo comfortabel mogelijk te maken. Om gasten een maximaal comfort te garanderen biedt de accommodatie gratis wi-fi in alle kamers, 24-uur beveiliging, dagelijkse schoonmaak, openhaard, privé incheck/uitcheck. Alle accommodaties beschikken over goeddoordachte voorzieningen om een ongeëvenaard gevoel van comfort te garanderen. De accommodatie biedt fantastische voorzieningenen, inclusief fitnesscentrum, zwembad (buiten), zwembad (voor kinderen), tuin, zodat u kunt onthaasten na een drukke dag in de stad. 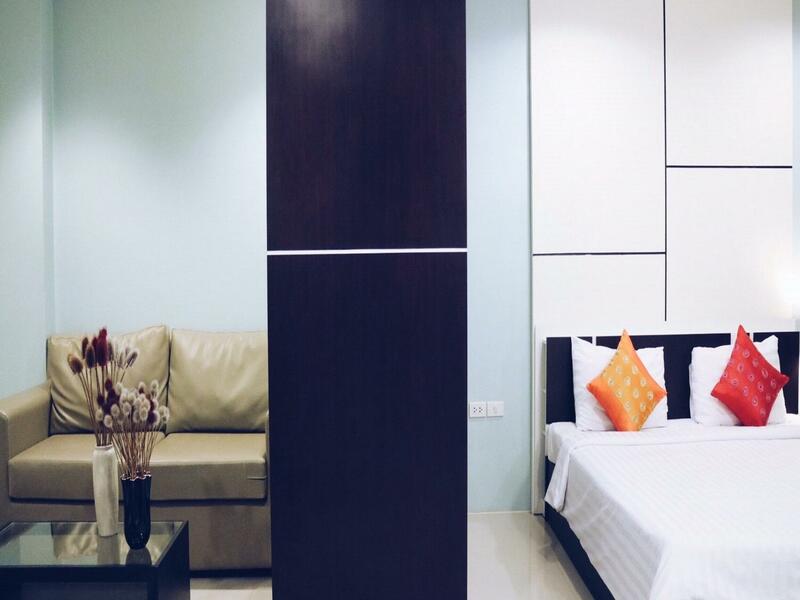 Als u op zoek bent naar een accommodatie die comfort en gemak in Phuket biedt, dan is CA Residence uw thuis ver weg van huis. Voor: fitness, wel wat klein en schone, ruime kamers, roomservice, gratis upgrade Na: afstand tot centrum etc. The room was very spacious and clean, but we have a problem to get the taxi to find it with the instructions given by the site. Unless you are planning to rent a scooter to explore, or get ready to spend some extra money on a taxi. I stayed there, because it was my last day in Thailand and I was in Krabi, and had to comeback to flight back home from Phuket and I thought it was closer to the airport than if I had stayed in Patong, as I did on my first 2 days. Not too far from the city. Just 5-10 mins can get there. Other place is upto the traffic. 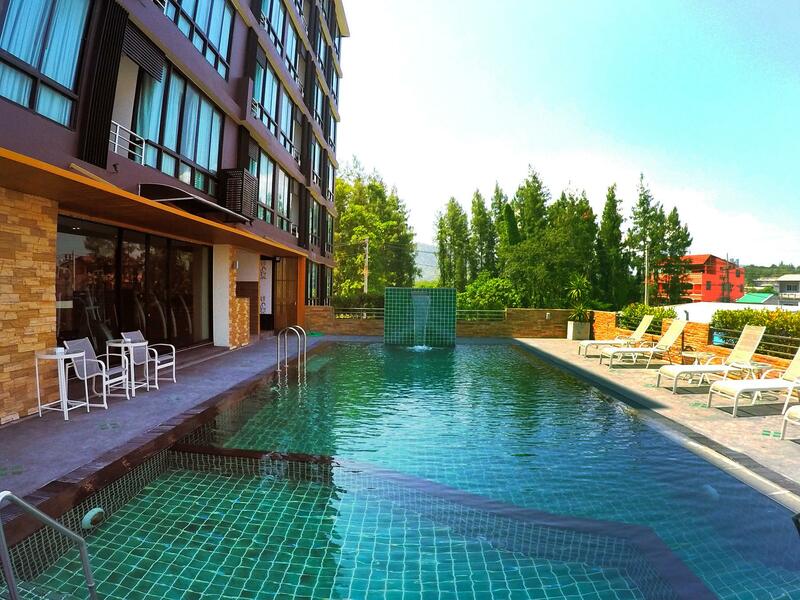 In the big view, this hotel is nice to stay with good facilities such as swimming pool and fitness. In front, there are a lots shop with nomal food sale along the road. Worth to spend your money here!! The room was very spacious and clean. The WiFi connection was fast. The quality of the Thai food served for room service was very good. The gym was really good it had a lot of weights and cardio machines. The location was not ideal it was about 2-3 km away from the city center and the taxis were really expensive. I would recommend a scooter but the hotel charges a large deposit and passport for security. The staff were good, excepting the room maid who made a cursory effort when we complained, and exceptional in regard to the restaurant staff who were very helpful and provided a personal service, probably in sympathy for being inundated by the Chinese locust effect. Room was not clean and waste bin in Shower Rm. not emptied from previous occupants, yuck. Bed and linen, wi-if and room size were good. Tv had no English channels. Water pressure was poor on the top floor, rain shower was more of a drizzle. Car park off road and reasonably secure. Location suited us for our purposes and we had a car, otherwise a bit out of the way. I would not pay for the breakfast if there was a next time, limited selection, cold and overrun with Chinese tour groups. For the price it was acceptable, and we were upgraded to the larger grand deluxe I believe, which was appreciated however, the rooms need freshening up with a coat of paint and tile grout renewing. Would not rush back without being updated. Like the title, summary of CA Residence in 2 words: wonderful & perfect. Good location, 7-11 nearby, and street food also. You can find anything to eat near there. And also quite for relax. Must try! We only went to Phuket for 3 days to do a specific tour by a specific company, which was only 5 min drive away from this hotel. Also, we were going to leave Phuket to Bangkok by bus, this hotel was perfectly located for our needs (walking distance from Bus Terminal 2). We didn't try the pool or gym but they seemed clean and nice. The breakfast buffet was great as well (additional but reasonable price). The place was very spacious, including seperate kitchen and living room space. I was very impressed with the size of our room. There is a local restaurant across the hotel, they sell great grilled pork. Seven eleven is closeby as well. 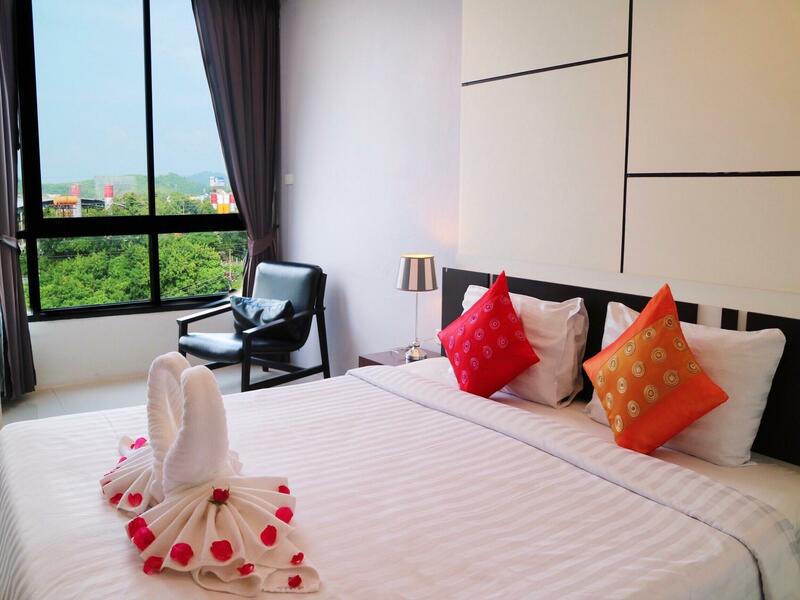 It's a very nice hotel with spacious rooms near the Phuket Bus Terminal 2, which you can reach by foot in about 10 minutes. Also the amenities like the swimming pool and gym are very nice. I would visit the hotel again.